For some time now, there has been an ongoing tussle between the Government of Delhi and the National Ministry of Housing and Urban Affairs about increasing fares for the Delhi metro. Under the existing law, a fare fixation committee reviews the fares for the Delhi metro and periodically suggest revisions. This committee is an apolitical body, includes representatives from the Ministry of Housing and Urban Affairs and the Delhi government and is, typically, chaired by a retired judge. It considers the operating costs, possible revenues at different fare levels, and then makes recommendations on fares. In October this year, the committee proposed a fare increase. The Government of Delhi objected to this increase and were unwilling to allow its implementation. 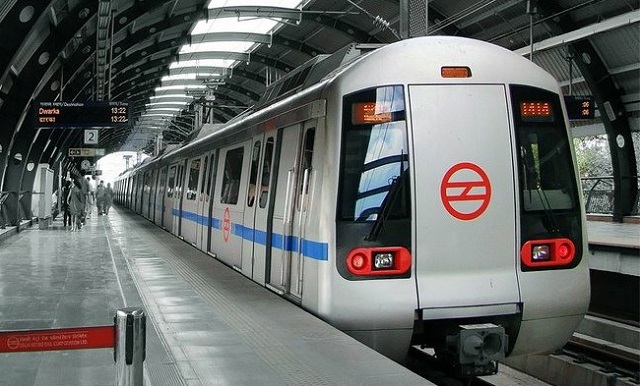 The Minister for Housing and Urban Affairs, rightfully, asked the Delhi Government to be prepared to pay an amount of INR 3600 crore ($560 million) to the Delhi metro if they did not want the fares to be hiked. The fare increase has since been implemented, but the Delhi government has now stated that there is a significant drop in ridership due to the fare increase. For example, people who use cars benefit from reduced congestion on the roads; people who own property near metro system benefit from increased property values; and employers benefit from having employees with easy access to work. Unfortunately, under the present arrangement these beneficiaries do not contribute to the operating cost of the metro. It needs to be recognized that fares cannot be fixed in such a manner as to pay for the cost of operations. An exercise of fixing fares needs to consider many other factors including the ability to pay, benefits accrued to non-users and the contributions they need to make, and the benefits accrued to society by way of decreased vehicular congestion, cleaner air, and savings in the use of non-renewable fuels. Several cities around the world have adopted a system whereby revenue from non-user beneficiaries contribute to the cost of metro operations. High fuel taxes, a tax on the wage bill, land value capture are some examples of additional revenues from non-user beneficiaries that can contribute to the operation of a metro. The operating cost is a technical issue which is determined by factors like the cost of energy, the fuel efficiency of the engine, and staff salaries. The role of the fare fixation committee needs to be redefined such that they are able to determine fair operating costs, after considering operating efficiencies and input costs. Thereafter, public policy should determine how to allocate these costs to different beneficiaries. It is for this reason that the Minister of Housing and Urban Affairs was absolutely right in advising the Government of Delhi that they need to pay INR 3600 cores if they do not want to implement the fare increase. In effect, this action would force them to think about who else should contribute to the costs. O.P. Agarwal is the CEO of WRI India. This blog originally appeared on WRI India.